Great live music featuring 20(?) bands. 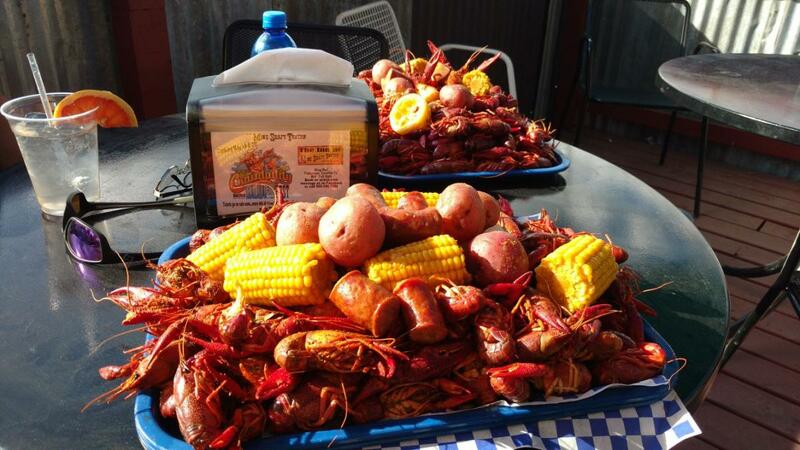 Fresh Boiled Crawfish & Cajun specialties! Parking & a shuttle will be available on the north end of town. 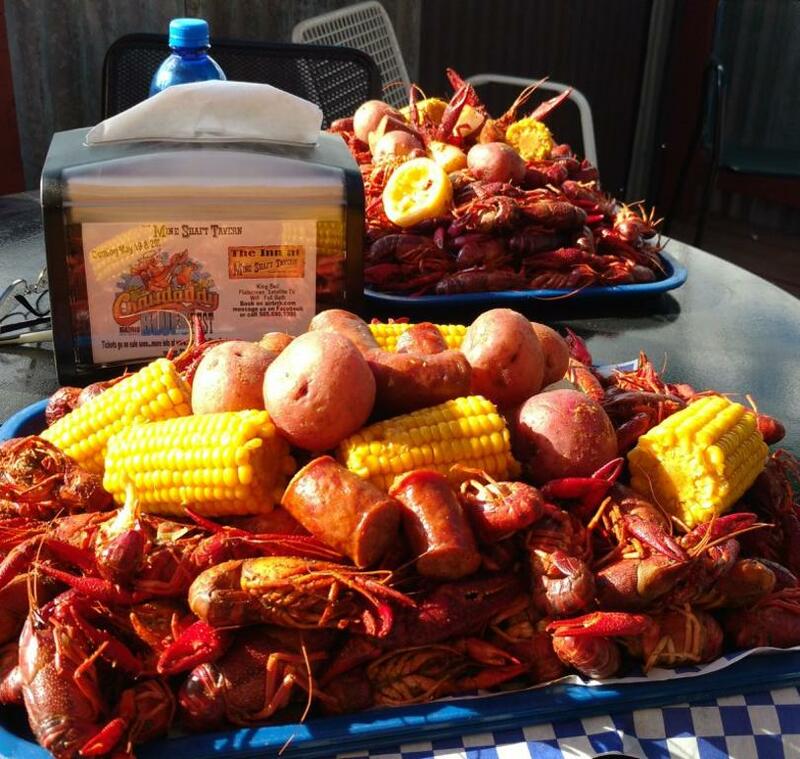 The Mine Shaft Tavern brings in fresh live crawfish from the organic rice fields outside of Beaumont, TX. If you love Louisiana and Texas foods, put this event on your calendar. In addition to boiled crawfish, crawfish corn pie, crawfish boudain, green chile blue crab cakes, Gulf Shrimp (boiled and fried), chicken and sausage gumbo, Texas BBQ Ribs, brisket and smoked pork are available. There will be a full bar and plenty of shade. 12,000 sq feet of covered areas with great views of the stages. Rain or shine. Kids under 12 are free, no coolers or outside beverages or food allowed. There are three stages during the festival—inside the historic Mine Shaft Tavern, the Mine Shaft Cantina’s Deck and the main stage at the Madrid Railyard Amphitheater.